The young Pirate pitching continues to shine, while the veteran offense continues to score. 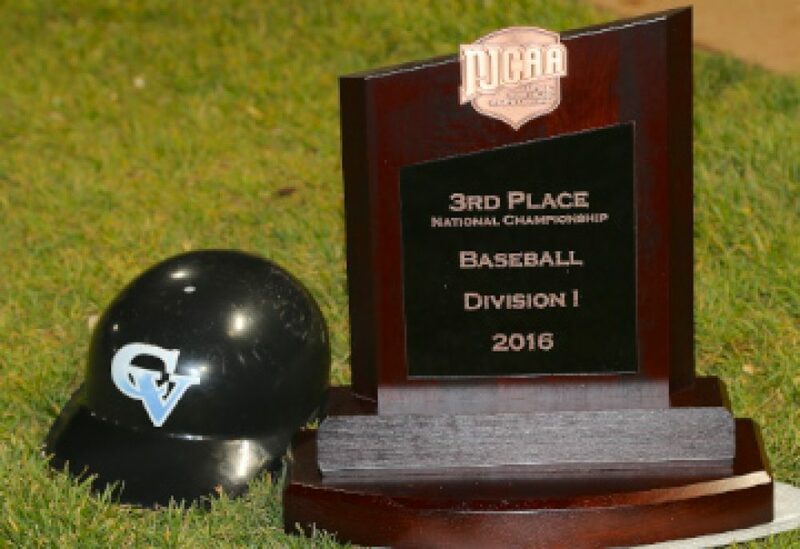 Add in flawless defense, and Chattahoochee Valley has the perfect recipe for another 3 game sweep during a home stand against West Georgia Tech, ABAC and Point University. Game one was a week old rematch on Sunday versus West Georgia Tech with freshman lefty Carson Hicks making his first start of his CVCC career. Allowing only 2 hits with 4 scattered walks over 5 innings, Hicks kept the Golden Knights off the scoreboard in his debut. Offensively, the Pirates scored often and methodically in the first 5 innings, posting single runs in the 1st, 3rd, 4th, and 5th to take a 4-0 lead. Jon Foster delivered a 2 out single to score Isaac Phillips in the 1st, while Tre Kirklin led of the 3rd with a solo homer, Jayson Cook delivered a 4th inning sac fly while Carson Hughes did the same in the 5th to give Hicks all of the runs he would need. With the bullpen getting some needed work, Garrett Fowler, Zach Cable, JD Brown, and Chandler Newman to continue to shut the Knights down over the final 3 frames. After WGT scored an unearned run on a passed ball to cut the lead to 4-1, the offense exploded for 7 runs in the final 2 frames to end the game via mercy rule. Jaylen Smith highlighted the 7th with a 3 run rocket over the centerfield wall, while a plethora of walks contributed to the 3 run 8th and 11-1 final. On Monday, the Pirates hosted ABAC after Saturday’s postponement and starter Casey Cobb delivered a beautiful follow up performance from last weeks ACCC Pitcher of the Week outing. In 7 innings of work, Cobb scattered 4 hits and struck out 7 and retired the final 10 Stallions he faced in order. The offense struck quickly and put the game away early, as Carson Hughes put CV on top in the first with a sac fly. While in the 2nd inning a 3 spot was keyed by 4 consecutive basehits by Brandon Hill, Jaylen Smith, Jayson Cook and Isaac Phillips. With Cobb cruising, the Pirates added a run in the 3rd on Hill’s 2 out single and another in the 4th on Tre Kirklin’s sacrifice fly to give Chatt Valley a 6-0 lead. Pierce Smith tossed a shutout 8th and the offense added one more run on a Jaylen Smith sac fly to push the final score to 7-0 with Charles Crosby tossing a 1-2-3 9th. Tuesday wrapped up the series with Point University in a race against the rain. Stewart Tyler made his much anticipated first start of the season and was brilliant in 5 complete innings, allowing only a single run on 4 hits while striking out a career high 8 batters. The Pirate offense got all of their runs in the first 4 innings but struggled to string anything together as they popped out for 17 of their 24 outs. However, it proved to be enough to hold on for the 6-1 win. Jack Copley delivered a sac fly in the first to knot the game at 1 apiece, while the Pirates took the lead for good in the 2nd as Caleb Lynn singled, stole 3rd and scored on a passed ball. Clinging to a 2-1 lead, the offense added 4 very important insurance runs in the 4th, as Jaylen Smith continued his hot streak contributing a 2 out, 2 run homer, while Kurt Ornowski added an RBI single and Jack Copley had an RBI double to complete the scoring. At that point, it was the bullpen and the defense that did the work, as Coleman Barbee, Tyler Elkins, Cole Ganopulos and JD Brown threw the final 4 frames of shutout baseball, scattering 4 hits to preserve the 6-1 win. The Pirates are now 11-1 and moved up to # 3 in the country in Perfect Game’s most recent poll. CVCC will now travel to Tallahassee Community College this weekend for their annual 3 game set on Friday, Saturday and Sunday.